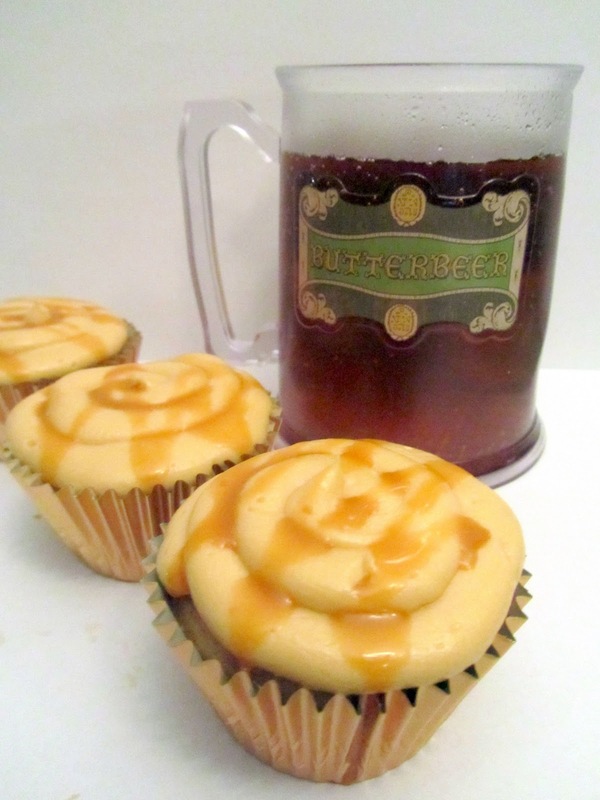 It's the little things in life...: Butterbeer Cupcakes! The second I saw this recipe, I knew I HAD to make them! 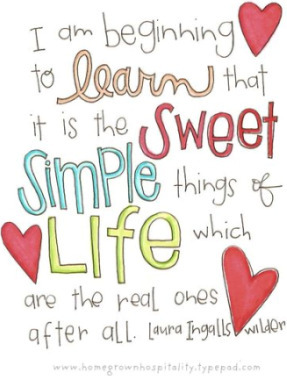 Especially after visiting The Wizarding World of Harry Potter! I finally had an entire day without plans, and a party to attend, so I knew it was the perfect occasion for these! They were a LOT of work, but totally worth it! Taste: SO good! 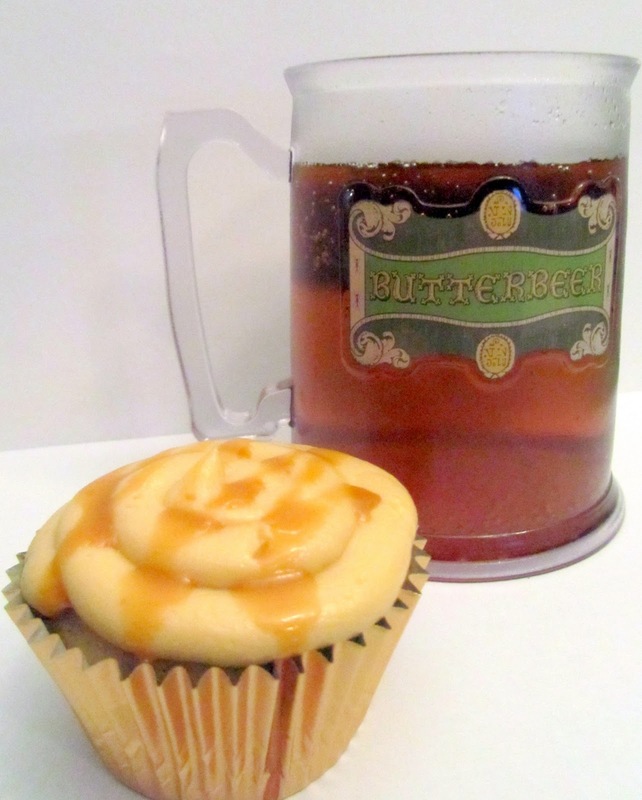 Exactly like the actual butterbeer! Texture: Cupcakes came out a little dry, I would recommend only baking for about 13 minutes. The ganache in the middle added a lot of moisture though. Would I make this again? : They are a lot of work but really delicious! I might just make other butterscotch flavored stuff. Except I might have to make these when the last movie comes out. For buttercream frosting: Cream butter in a large bowl until fluffy. Add in ganache, vanilla, butter flavoring, and salt and mix until well combined. Beat in powdered sugar 1 cup at a time until reaching desired consistency. Add milk or cream by the Tablespoon as needed. 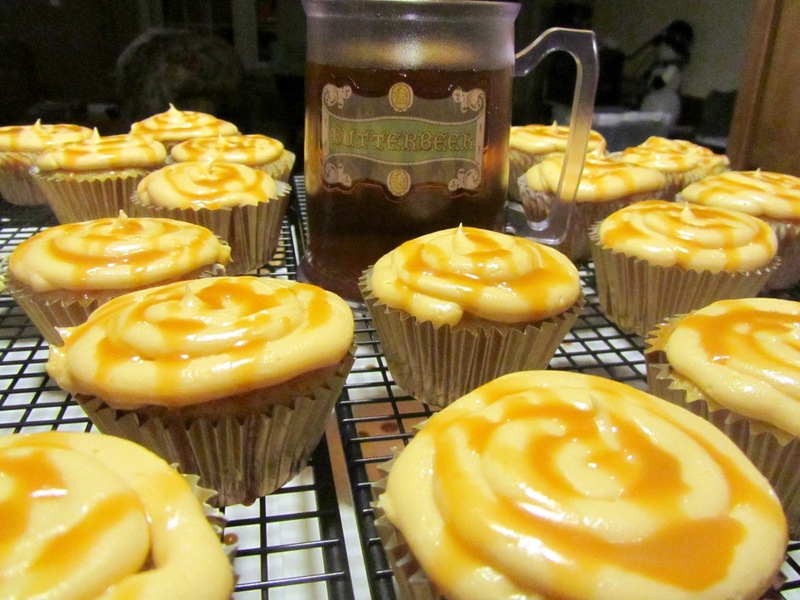 Frost cupcakes and top with a drizzle of butterscotch ganache..